Important Milestones of Supertec Machinery Inc.
Capital increased to NTD261 million. Capital increased to NTD211 million. "Taipei International Machine Tool Show TIMTOS", exhibition "gantry plane CNC grinder", "GU Universal Cylindrical Grinder" and other new products. Surface Grinder for creating new values​​, in cooperation with the PMC SBIR "SS double-precision Surface Grinder vertical grinding technology" development plan. Completed construction of our new factory and moved into the Central Taiwan Science Park in November. Capital increased to NTD161 million. German "EMO Hannover Exhibition", exhibition "Grind Master composite triaxial CNC internal grinding machine.". Capital increased to NTD141 million. Capital increased to NTD91 million. Granted formal access to relocate to the Central Taiwan Science Park by the Executive Yuan National Science Council to develop High Precision linear motor driven grinding machines and production equipment for the 3C industry. Changed name to “Supertec Machinery Inc“.，ISO 9001-2000 Quality Management System certified in order to provide customers with the best guarantee of product quality. Start with the UK J & S companies ODM cooperation. Introduced the new “Planotec” series of Surface Grinders at Taiwan International Machine Tool Show, Taipei (TIMTOS) in response to High Precision machining requirements from the 3C industry. “Swing Arm OD Measuring Device” successfully patented. Awarded a second patent for the “Reference Plane Measuring Device. Slideway Forced Lubrication System” successfully patented. Grinding Wheel Stability and Lubrication System” successfully patented. Hydraulic Universal Cylindrical Grinder CE certified by SLG Pruf, Germany. Successful completion of development and export of the first CNC Angular Cylindrical Grinder with assistance from the Ministry of Economic Affairs, Industrial Development Bureau. Started development on the CNC Plunge Cylindrical Grinder. Capital increased to NTD51 million. Established our first US branch office to expand into markets there. Signed a Technical transfer agreement to purchase Know-How from Italian manufacturer “Grisetti & Co.” with one million US dollars, and procured High Precision production technology. This markedly improved productivity and competitiveness. Capital increased to NTD10 million. Participated in the ”First Taiwan Machinery Fair” organized by the Taiwan External Trade Development Council (TAITRA) in Taipei and received wide acclaim for our machines with many orders. Renamed as the "Shing Teck Machinery Works Co., Ltd." to expand the scale to increase production, moved to Taichung City Road, registered capital of $ 1.2 million paid-in capital 1,200,000. Developed the Fully Auto Hydraulic Surface Grinders P-20AD, P-30AD; High Precision Centerless Grinders C-12, C-20; and the Precision Cylindrical Grinder G-250. Considering the fast pace of industrial and commercial development in Taiwan and the leadership of the machine tool industry, we re-invested in the R&D of grinding machine design and manufacture, and changed our name to Shing Teck Precision Machinery Works Co., Ltd. Purchased 170 ping of land (~560m2 / 6050ft2) at Shi-Chai Rd. 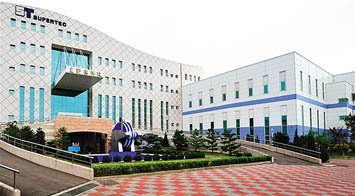 Taichung, Taiwan and constructed factory space for the design and manufacture of motorcycle and automobile parts. Established in Taiping, Taichung County, Taiwan manufacturing bicycle parts. 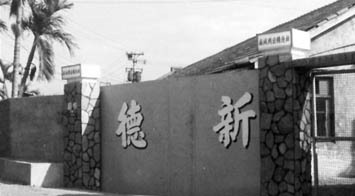 Supertec originally opened under the name Shing Teck Chi Iron Works. 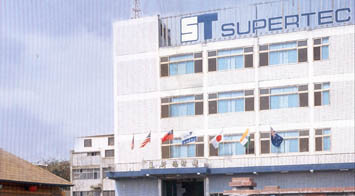 Supertec Machinery Inc. officially stationed in Central Taiwan Science Park. 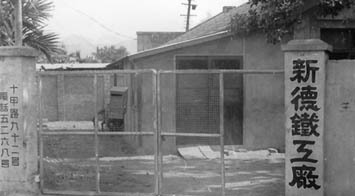 New three-floor factory was built at the same premise. Shing Teck Machinery Works Co., Ltd. at Pei-Toun Rd. 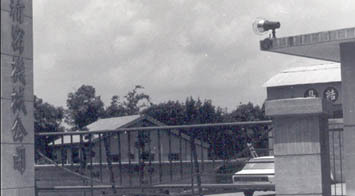 Shing Teck Precision Machinery Works Co., Ltd. at Shi-Chai Rd. Shing Teck Chi Iron Works in Taiping.